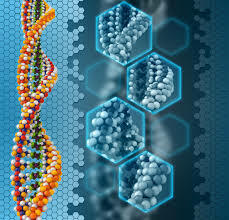 Is the understanding of kata transmitted genetically? I seem to have missed an interesting kendo kerfuffle on Facebook this week. A Japanese sensei from Brazil posted on The British Kendo Association’s page that if you wish to learn kata correctly then you should be taught directly by a Japanese sensei and should not learn from a video. Good advice! If I had the chance I would love to take some kata lessons from Inoue Yoshihiko sensei, who has spent a lifetime developing his knowledge of the form. On the other hand the assumption that only a “Japanese” sensei could understand the riai of kata to a level where they can teach it seemed a bit harsh and a number of my friends took exception to the apparently xenophobic tone of the post. Some of the loudest comment came from Japan where people made the point that kata is often ignored by the majority of kendoka and that more focus is put on its practice by kendo countries outside Japan. It was also noted that not all Japanese kodansha are good at kata. I have some sympathy with this point of view. When I lived in Japan, I asked a very strong kyoshi 7th dan teacher to teach me kata. He was delighted to help, but did so with a bokuto in one hand and a kata instruction book in the other. I don’t know if the rules are still the same but in Osaka and Hyogo it was possible to be excused the kata part of a grading exam by showing evidence that you had attended a kata course. I took advantage of this several times. On the other hand I have seen people fail the kata section in the UK and in other European countries for what by Japanese standards are minor mistakes. The All Japan Kendo Federation strongly promote the correct understanding of kata for both foreign and domestic instructors. The ZNKR kyoshi examination (which is open to non-Japanese teachers), focuses heavily on the teaching of kata and reigi, both of which I see missing as often from Japanese kendo students as from those from other parts of the world. Let’s face it; learning from a teacher is better than learning from a video – fact. Some teachers are better at teaching kata than others- fact. On the other hand I strongly believe that the ability to teach kata correctly is based on years of practice and research rather than DNA. Oh and talking about Brazil; a Brazilian sensei from Hong Kong just passed hachidan. It’s a funny old world. Congratulations Kishikawa sensei and Merry Christmas to you all! If I had to give up any one single item of my kendo equipment, my bokken would probably be the first to go. Not because it is in any way less valuable than my bogu or shinai, but because it is used less often and replacements are easier to borrow. Unlike shinai, bokken seldom break, so they do not have the “at your own risk” stigma associated with borrowing shinai. Please do not misunderstand me. 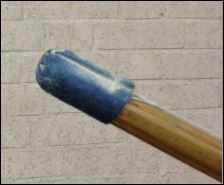 Modern kendo evolved through the use of wooden swords. Bokken are essential to kendo practice, not only for kata but for the Bokken ni yoru kendo kihon waza keiko ho (method of practising kendo kihon with bokken), which was introduced by the AJKF in 2003. 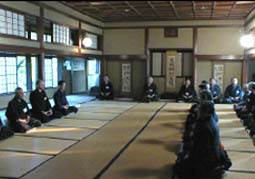 The idea behind this training format is that it is a way for kendoka up to 2nd dan to work on the key shikake and oji techniques without the pressures of winning and losing inherent to shinai kendo. As with kendo no kata we do not wear bogu or strike our opponent, at least not on purpose, so it is easier to move naturally without the restrictions of wearing armour. Thinking about it, the Kihon keiko ho does exactly the same thing as Kendo no kata; teach technique through repetition and concentrated practise, the only differences are that in Kihon keiko ho the techniques are arguably less complicated and that the number of steps between the start and finish of each technique are fewer. The clear advantage of training with bokken is that as the weapon simulates the shape of the katana, it is easy to understand correct cutting distance. The obvious disadvantage is that as the lengths of shinai and bokken differ, so does the distance at which we originate and finish techniques. In some cases beginners who have learned techniques exclusively with bokken will find it hard to transfer the technique effectively to subsequent shinai keiko. In my view the way around this is to combine bokken and shinai training; trying the technique first as a bokken drill and then repeating with a shinai whilst wearing armour. This goes beyond the bokken keiko ho. For many years Sumi sensei has been using innovative drills based on Kendo no kata. With these, he short circuits the normal kata lead-in and focuses on the essence of the technique. So for instance, in Kendo no kata ippon me, he would instruct both fighters to stand in issoku-ito-maai and have uchidachi strike men from jodan. The strike would be repeated three times. For the first two attempts, as shidachi is in jodan, the cut would stop just above his left kote. On the third he would step back, pulling his hands out of the strike path and return the cut to uchidachi’s men. Once this has been successfully concluded, men and kote are put on and we repeat the exercise using shinai, adjusting distance so that we hit with the shinai’s monouchi. When we go on to complete the technique by actually hitting the datotsu bu on an armoured opponent, the meaning becomes far more obvious. We have just had the last grading examination of the year, so except in the case of a few enthusiasts, kata training has been put on hold until the next pre-grading panic. I am certainly not excluding myself from the kata dodging majority, as I tend to do kata only if I am asked to demonstrate or teach it before a grading. When I practise kata I enjoy it, but normally I gravitate towards some exercise or another that involves a full set of bogu. I think this is not specific to Europeans. I practised in Boston, USA for a while back in the 80’s and we never did kata. During my time in Japan, kata practice was very sporadic and I remember asking a 30 year in grade nanadan for some pre-grading coaching. He went through the list with a book in one hand and a boken in the other. I am not sure if it is still the case, but in some prefectural gradings, up to and including 5th dan, it was possible to avoid the kata examination by attending a pre-grading seminar. The best kata in Japan story, (and I will not guarantee that it is not urban myth); is about the candidate at the Kyoto 8th dan grading several years ago. It is alleged that having successfully passed jitsugi, he left because he did not know the kata. This, in the light of the fact that if you take the kata section and fail, you get a second free try without retaking jitsugi. If you walk away, you have to start from scratch. With sub 1% pass rates, you have to be very brave or very stupid to leave without a token attempt. Of course kata has value and the better at it you become, the more it benefits your kendo. Not only is kendo no kata a toolkit of techniques, timings and opportunities; done correctly it teaches mind-contact and zanshin as well as riai (the reason for making a technique). When you start learning kata, the objective is to remember the techniques, the number of steps and the order in which everything happens. This is not the aim of kata training but only the beginning. Once you have mastered the basics, kata gives you the opportunity to really feel the nuances of the techniques it features. So, I will try to make the effort to practise kata regularly, rather than save it for the far off day when I have to join the remedial 8th dan candidate kata class. Kata on the beach in Norway. More fun less precision.